I thought about splitting this into two posts–one for the crumpets and one for the clotted cream. You see, this week I tried out a new clotted cream recipe to compete with my golden standby. I scrapped “The Great Clotted Cream-Off” for reasons that should be fairly obvious and decided to post the crumpet and clotted cream recipes together. While clotted cream and crumpets are British, not at all Mediterranean, for me they represent my entrée into the Mediterranean. England was the first country I visited outside of the United States before heading to France and Italy for the first time. I was a teenager staying in a tall, red-brick London apartment with my family and grandparents and we ate these for a late breakfast after rousing ourselves from our jet lagged stupor. I remember the outer crunch of the crumpet tasting other-worldly alongside the slightly sweet, ultra-rich clotted cream, both delights that I never had tasted before. 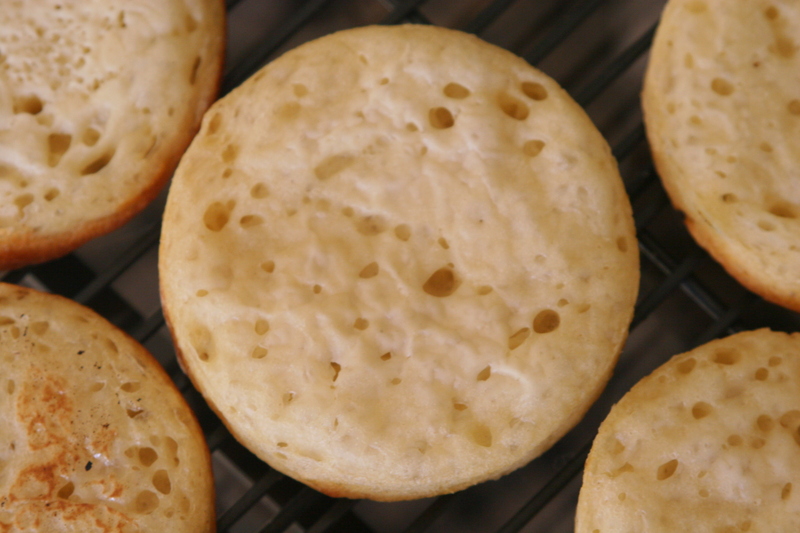 While in the past decade or so crumpets have been finding their way into our American supermarkets, they never tasted exactly the way I remember them. Soft and doughy in the middle, steaming when you bite into it. Crispy on the outside with lots of holes for the butter or clotted cream and jam to seep in. Well, I have two recipes that bring the perfect balance of textures and flavors straight to your kitchen. The clotted cream, if you have never tasted the real thing, is surreal. A lot of people substitute marscapone for its similar consistency, but it doesn’t taste remotely the same. Not for those avoiding a high-fat diet, clotted cream is organic (ideally raw) cream that has been slow cooked on the lowest possible heat setting for at least a couple of hours and sometimes overnight. You simply skim the top as the liquid slowly evaporates and then refrigerate your clotted cream until you are ready to serve it up. There is really not much more to it than that. 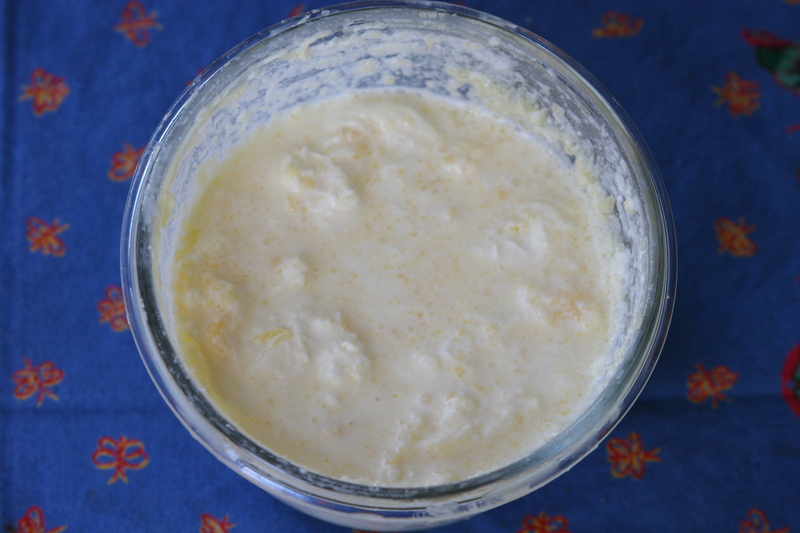 I tried a new recipe from a recent favorite book of mine where one is called to mix milk and cream together, let it rest for 48 hours, double boil it, skim the clotted cream as in my method, and finally strain it overnight in the fridge. Unfortunately, the top of the cream began to melt instead of clotting. I like the book so much that I am willing to try it again, but without the double boiler. I was intrigued by the prospect of a tangier clotted cream and imagine that it would taste somewhat like a good cultured butter, but next time I will use my method for skimming. Making the crumpets is a breeze if you 1. already have muffin rings, 2. have exceptionally clean empty tuna cans with the top and bottom cut out or 3. don’t care what shape your crumpets end up taking. If you have a griddle–electric or stove top–it also makes the cooking process quick. I do mine in two batches and I’m done. You have one other option when cooking your crumpets. You can cook them on both sides by flipping them a little over half way through cooking (when the glossy look of raw dough/batter acquires a dull appearance), which crispens both sides. Yet, if you want “real” crumpets with all of the tiny little holes to fill with melted butter or clotted cream, you should only cook them on one side. You may think that the middle seems undercooked, but when you toast them the next day (or an hour later because you simply cannot wait) they turn out absolutely perfect. And don’t forget that they continue cooking just a little bit once you put them on the cooling rack. My family adores these and I have been itching to try a multi-grain one so expect a recipe for that soon too. 2 teaspoon melted butter, ghee, or cooking oil for griddle and muffin tins. 2. Let the batter rise in a plastic-wrap covered bowl until it has doubled in size, about 1 hour. 3. Mix together the baking soda and last 4 tablespoons of warm water in a separate bowl and then add to the batter and mix well. The batter will deflate. Cover again with plastic wrap and let the batter rise again until it has almost doubled once more and is filled with bubbles, approximately 30 minutes. 4. Heat skillet or frying pan to something between low and medium low with rings on top (if using at all) to preheat too. It should be hot enough that a drop of water sizzles on it. 5. Cook your crumpets. Lightly brush the insides of the muffin rings and the skillet with the melted butter. Fill each ring about 2/3 full. They will puff up as they cook. If not using rings, just make small 4 in diameter rounds (or whatever shape they end up taking). Let cook for 7-10 minutes until the middle of the tops lose their shine and have a dull appearance. If you want to flip them, go ahead (see notes above), but you will lose some of your holes. 6. 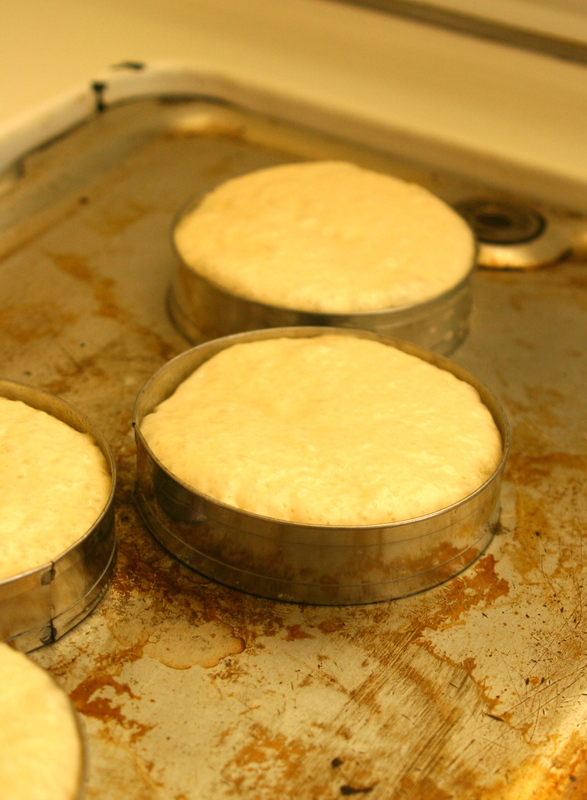 Transfer the cooked crumpets to a rack to cool and cook the rest of the crumpets until no batter remains. 1. Pour your cream into a non-stick or ceramic frying pan (like Le Creuset brand). 2. Turn the heat on the absolute lowest setting. If it’s too high and begins to simmer you will need to use a diffuser. 3. Check every half hour to make sure that the cream is not actively simmering. It should just sort of shiver as a layer of clotted cream develops on the surface. Every half hour or 45 minutes skim this off with an impeccably clean spoon into an impeccably clean bowl and put that into the fridge until your next skim. 4. Use the remaining cream however you would like (it is thickened and also tastes pretty amazing, but not as thick as the top clotted cream). Refrigerate all your clotted cream until ready for use. Note: Although not traditional, I like to sprinkle the tiniest bit of sea salt on my clotted cream after I have already slathered it onto my crumpet, muffin, etc. Enjoy! This entry was posted in Breads, Breakfast, Jams and Preserves and tagged clotted cream recipe, crumpet recipe, crumpets and clotted cream, raw cream recipe, what to do with raw cream. Bookmark the permalink. Bernard J here again. 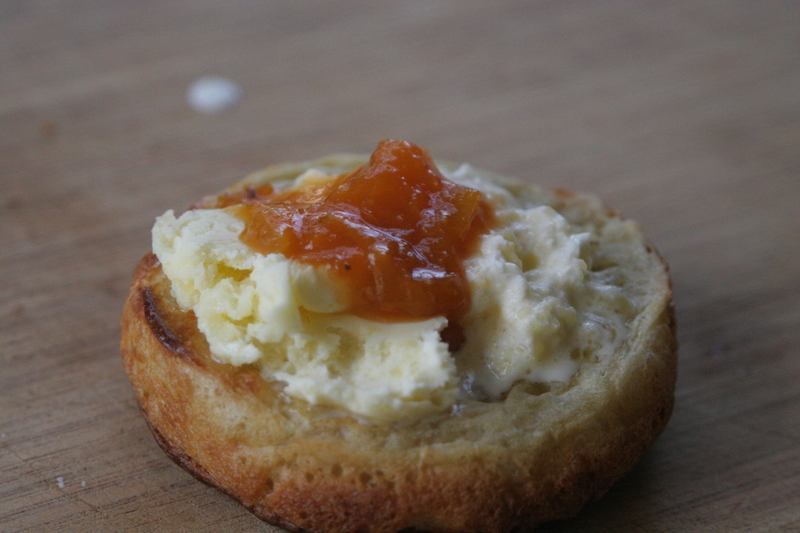 Thanks so much for this simply delightful crumpets and clotted cream recipe. I plan on trying this recipe in the next week or so. I particularly like your sea salt idea and will be trying this out as well. 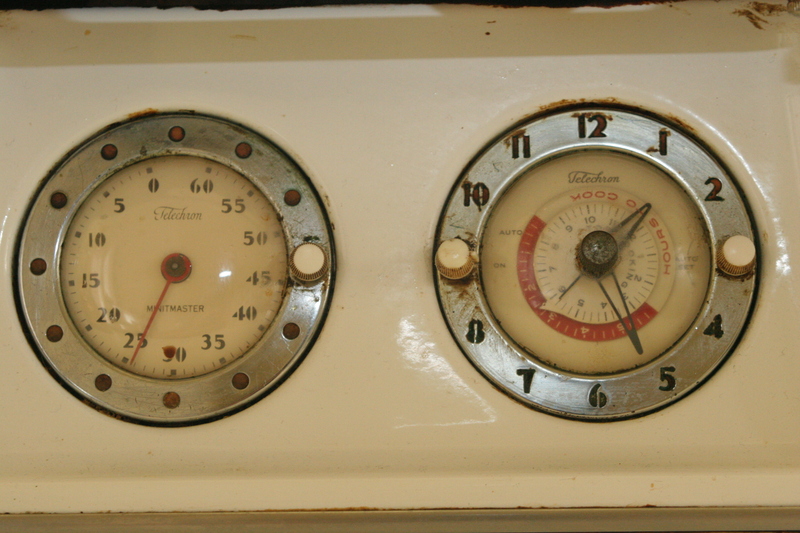 Also, I couldn’t help but note the pictures of your awesome, impeccably clean 1950s griddle/range/oven. It is clear that you are not only a creative innovator in food, but a real stickler for cleanliness. Why thanks there Bernard J. I tried out a multigrain version today and will post that soon. Just need to work out one little kink. Looks delicious! I can’t wait to make and serve with “high tea”. Pinkies out! Where’s a good place to buy muffin rings? I got a four pack through Amazon, but I think King Arthur Flour sells a six pack. They also work for making English muffins and as biscuit cutters. I’m so glad Nina. Crumpets are one of those foods that I feel comes with some sort of association beyond mere food. I have only been to Seattle once and never tried theirs, but a shop devoted to crumpets?! I’m in. I just made a multigrain crumpet last week which I loved. I will post that recipe soon if you are into whole grain flour baked goods. Thanks for commenting.